2. 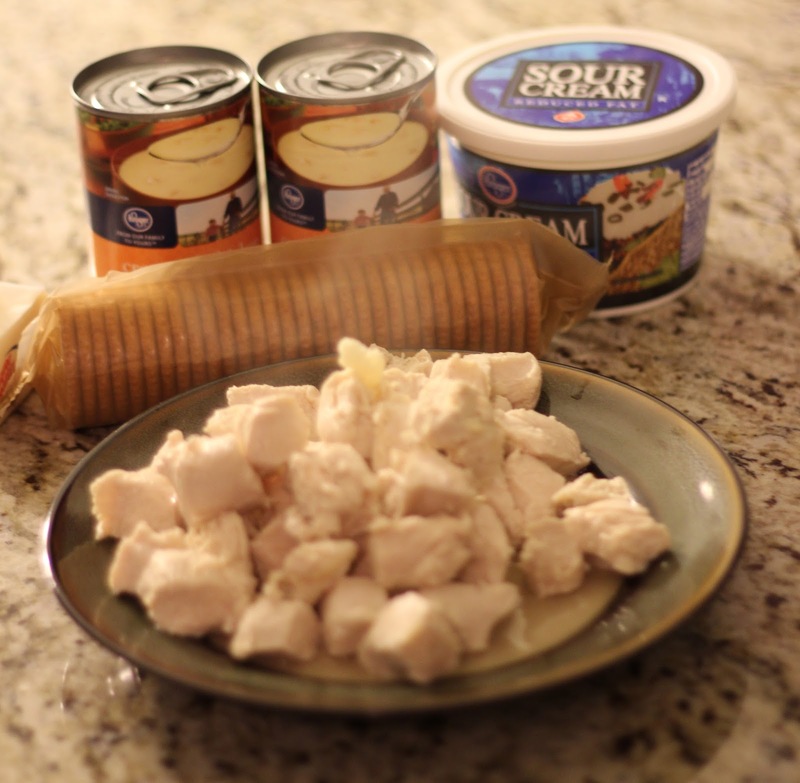 In a large bowl, mix the cream of chicken soup sour cream until well combined. Add chicken, oregano and garlic. Pour mixture into casserole dish. 3. Add crushed ritz crackers to the top (crushing the crackers in one of my favorite parts). Drizzle butter on top of the brackets. 4. Cook in oven 20-30 minutes until bubbly. 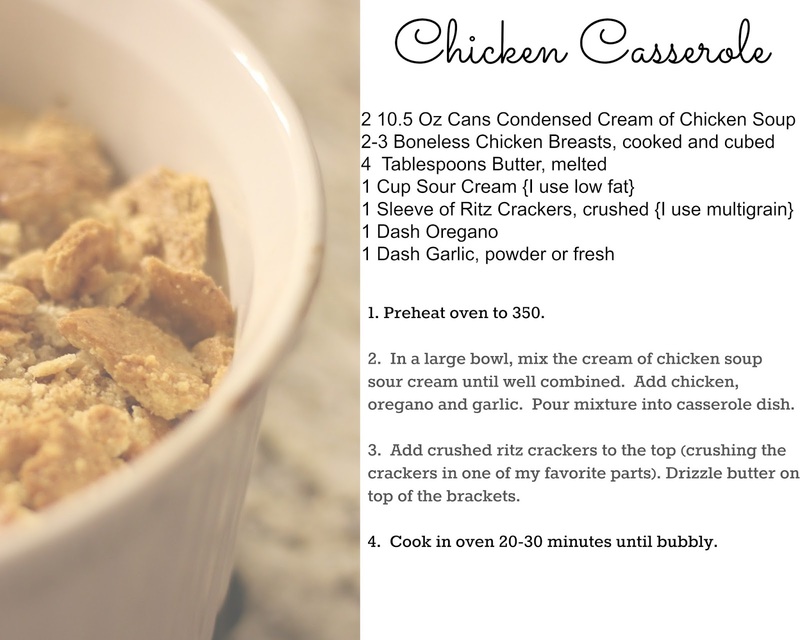 This recipe should serve 3-4 people, although some nights my husband and I can finish it off. 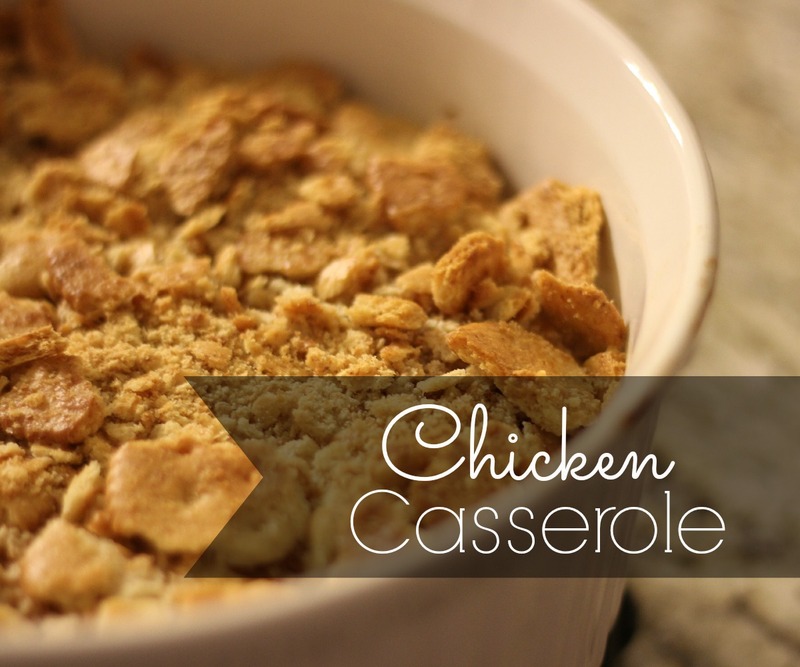 I’ve seen and tried versions of this casserole with rice or noodles added. Those are great variations, especially if you would like to make this dish more filling or able to feed more people. So tell me – what are your favorite easy and delicious recipes? This looks yummy and easy to make! Perfect now that I'm back in charge of meal planning with hubby back to work. I'm intrigued. I pinned it to my meal planning board. Hopefully we get a chance to make it soon! As for my favorite quick recipe, we are big fans of tacos! This looks quick, easy and good! Thanks for linking up!